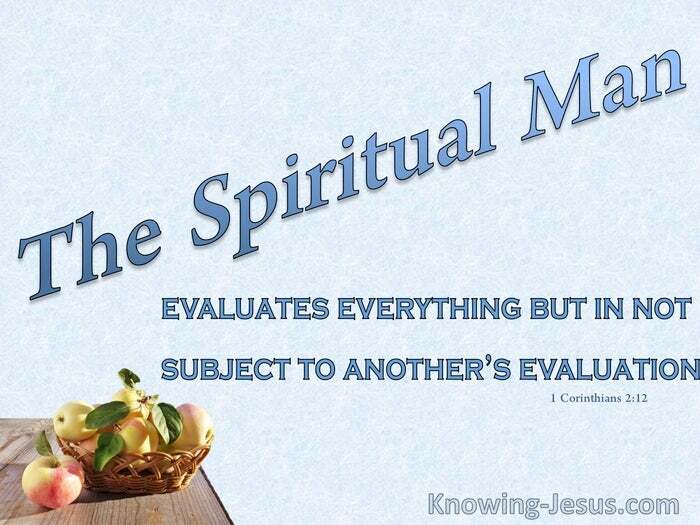 But he who is spiritual judges all things. 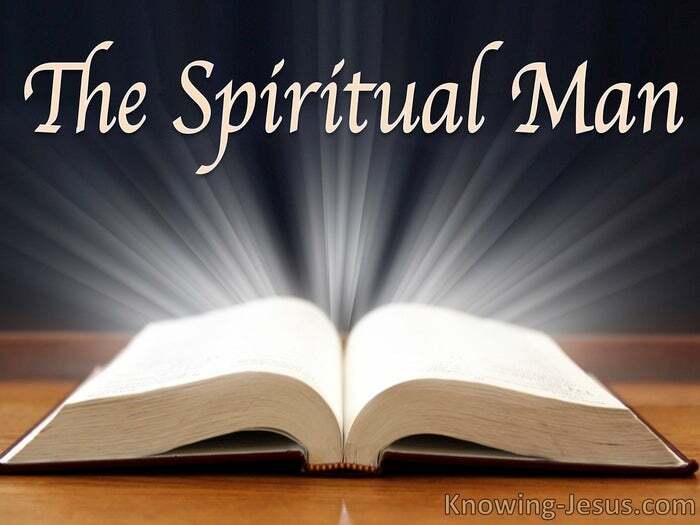 The spiritual man is identified as one that has the mind of Christ Paul exhorted us: let this mind be in you that was in Christ Jesus, and by implication this is not a past state but one to which we should strive. My daily prayer for years has been: align my mind to the mind of Christ, because I know that in my own mind there dwells no good thing. This is not a striving to do things for God – in order to please an angry God. This is a striving to be like Christ, because He is the One Who pleases God – until.. until it is His Life being lived through me with my self-life nailed to the cross. A lifetime of trying to achieve this in ones own strength will result in failure, and we have an example written in the life of every baby that’s born. That newborn babe has the mind of a man – not an animal or angel or fish or tree. That human child has a human mind, but he lacks human development. Only years of schooling and decades of training will endow him with maturity. Were that child not endowed with a mind.. that child could not develop.. The babe in Christ likewise has a new life: the new life in Christ. The immature Christian likewise has access to a new mind – the new-mind of Christ, but the new life and this new mind must grow and mature into Christlikeness, and there is only one way, laid out in Scripture to spiritual growth and maturity. For his physical development man requires three vital factors, without which that newborn person would not grow: 1) food; 2) air and 3) exercise. The spiritual man likewise needs these same three essential elements, and without these 3 essential ingredients, growth in Christ is blocked. For food: the child of God needs nourishment through the Word of God. For air: the child of God needs prayerful communion with the Father. For exercise: the child of God needs to develop a life of obedience. Eliminate any one of the three and you will remain stunted. Many neglect the vital breath of Life, which is daily and unceasing prayer. Many neglect the day by day in-breathing and exhaling of the Spirit of God. Jesus told us that men always ought to pray and not lose heart and Paul told us to pray without ceasing so that His mind may be formed in You. And many neglect the exercise of the soul – obedience to His commands. Many neglect the day by day nourishment of the adherence to His word and listening to His voice. To neglect or oppose any one of this trio is to resist the Spirit of God, to grieve the Spirit of God – to quench the Spirit of God, but until we draw our last breath, we can change and there is always hope.